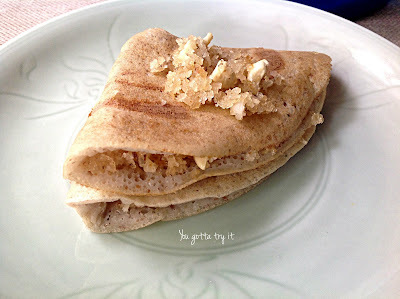 Sweet Multigrain Dosa with Coconut-Jaggery filling is my third recipe for #BellyNirvana ‘F2F Ka Lunch Box Campaign’ by Plattershare in association with FarmztoFamiliez. F2F has a variety of healthy ready-to-make batters which comes with the goodness of nutrition from millets and grains. The batter is fresh and super tasty with no added preservatives and no soda. I used F2F Multigrain Dosa batter for this recipe. The batter is made of rice, urad dal (black gram), pearl millet, finger millet, jowar, whole green gram, chickpeas and RO purified water. Isn’t sound so healthy? Let’s make it bit more interesting. 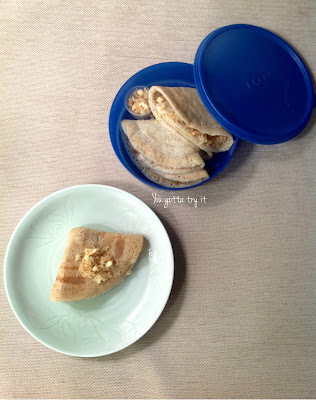 This sweet dosa can be included in your kid’s lunch box and also it’s a good 4 PM snack. 1. In a bowl, mix coconut, jaggery, and cardamom. 2. 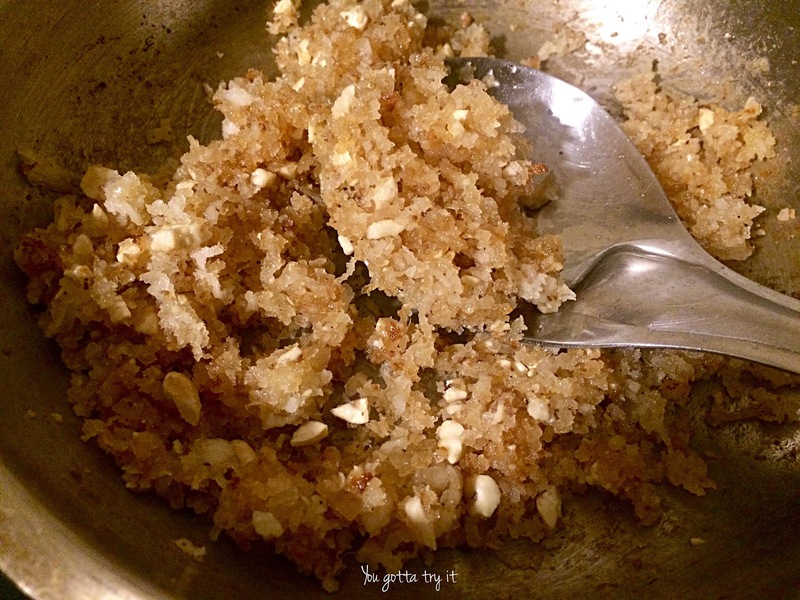 Heat a pan with 1 tbsp ghee and add the coconut mix. Fry till light golden color. 3. To the F2F Multigrain Dosa batter, mix sugar according to your taste. Note: Adding sugar is optional. This batter is mildly salted, so add sugar/salt accordingly. Adding sugar will give a sweet and tangy taste to this dosa. 4. Heat a Dosa pan/tawa on a low- medium flame. 5. Once the pan is ready, pour the required quantity on the pan and allow it to cook. Add few drops of ghee on both sides. 4. Take out the dosa from pan and take a small portion of coconut mix and spread it on the dosa. 5. You can either make it a roll or just keep the mix on one side of dosa and cover it.